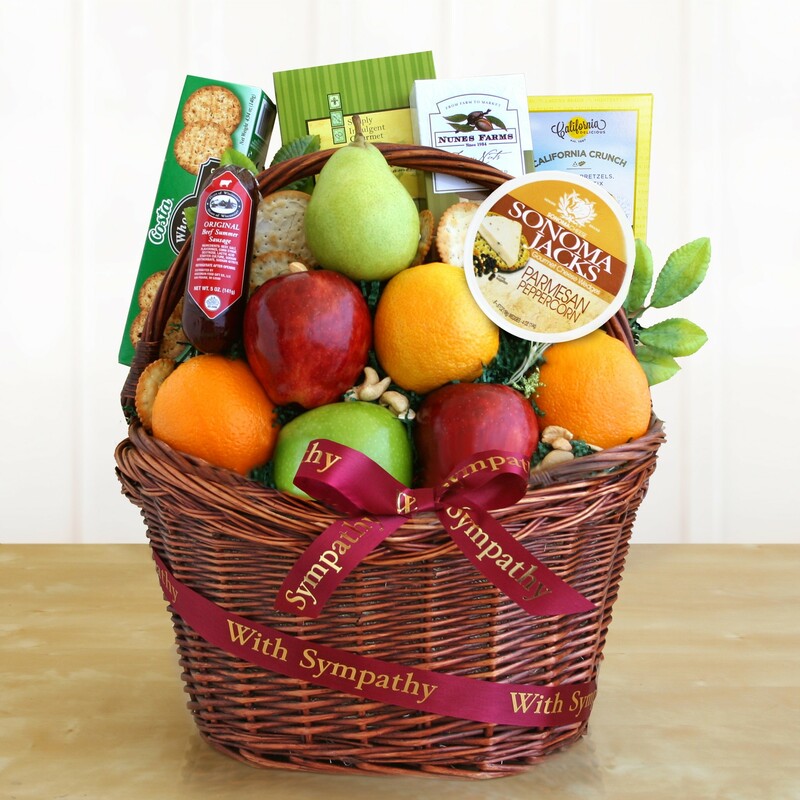 Send your caring thoughts to family, friends, and co-workers during times of need with this colorful and delicious selection of fresh seasonal fruit, Sonoma Jacks cheese & crackers, salami, cookies, and California nuts. There is a little healthy something for everyone in this basket that is meant to be shared. PERISHABLE GIFT SHIPPING: We recommend shipping 2-Day or Overnight for baskets with perishable items (fruit, cheese, chocolate). We also recommend these products are only shipped Mon-Wed or Thursday with Overnight delivery. We can only guarantee freshness if these guidelines are followed.